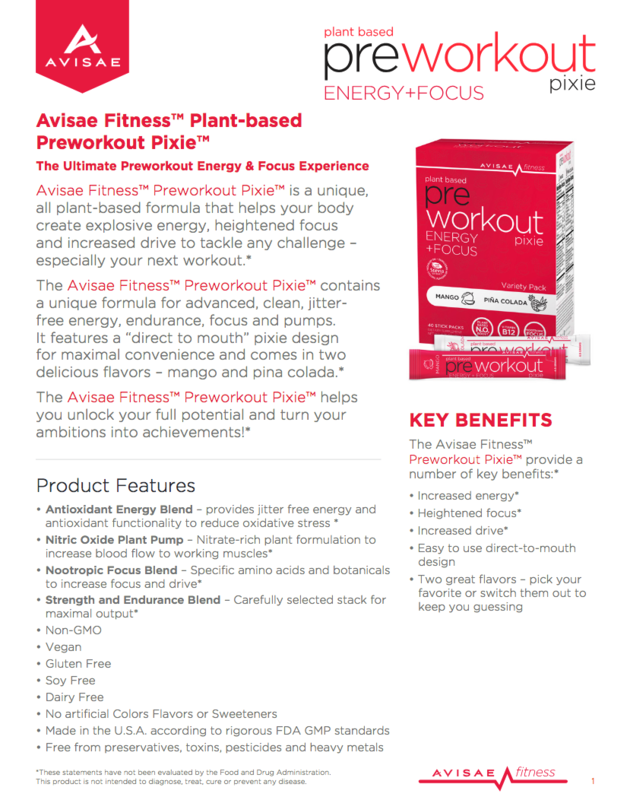 Avisae’s PreWorkout Pixie is a tasty direct to mouth powder designed to boost energy levels, increase focus and reduce fatigue. 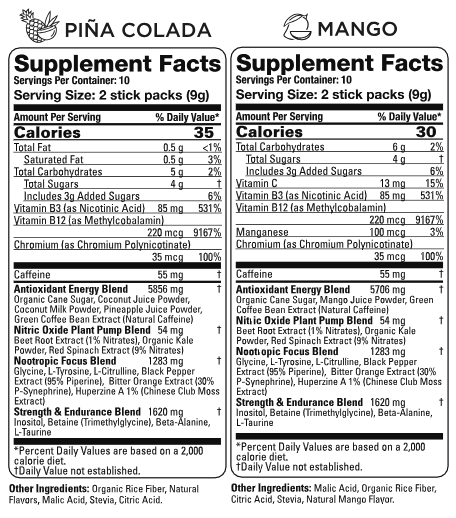 And it comes in two delicious flavors: Mango and Piña Colada! Made only with clean, plant-based ingredients, it delivers clean fuel in the form of our Pixie Power Blends including vitamin B12, plant sourced nitric oxide, amino acids and antioxidants. 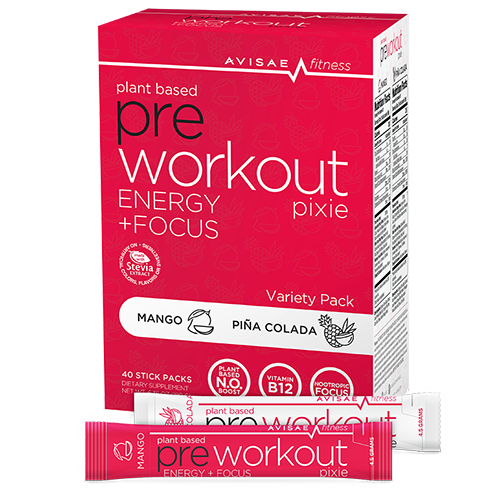 Take one (1) Pre-Workout™ pixie daily to support help provide energy during your workout. A single serving is two Pre-Workout™ pixies per day. Take 10 minutes before working out.